Acne is common during the teenage years, but there’s not a teen out there that feels comfortable with their problem skin. For some, blemishes and acne are a bigger problem than they are for others. The good news is that there are a ton of acne treatments out there designed to clear up teenage acne. Do they all work though? The answer depends on the type of acne you’re trying to treat, the severity of the problem and your unique skin in most cases. Use this guide to learn more about the best acne treatments on the market for boys, girls and teenagers in general. What Causes Acne in Teenagers? 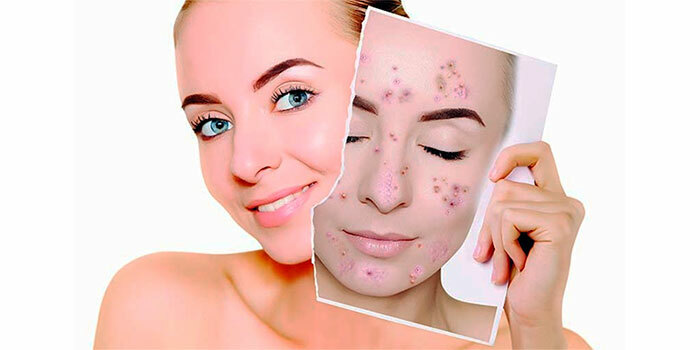 Acne can feel devastating for many teenagers who are just starting to enjoy their social lives and develop friendships that will shape who they are as adults. The fact is though that acne is very common among teenagers. But what really causes it and why is it so common? Almost 8 in 10 teenagers will develop acne. Development of hormones called androgens. This happens for both boys and girls during puberty and is a common cause of teenage acne. Excessive sweating. Teenagers are more likely to play sports and spend time outside without cleansing their skin quickly after. Poor hygiene. Teenagers are less likely to take time to properly care for their skin, which can contribute to breakouts and acne. Stress. Teenage development is often stressful for kids and stress can lead to more severe acne. Genetics. If your parents had acne as teenagers you’ll be more likely to develop it yourself. Over-use of cosmetics. Cosmetics can clog pores, creating a buildup of sebum that can cause breakouts. This is common among teenagers who first start using makeup. Certain medications. Medications like lithium among others can lead to breakouts in both teenagers and adults. Most teenage boys don’t want to spend a lot of time on complicated face creams and topical products. They don’t want to have acne either though, so a middle ground is often needed for proper treatment. Acne soaps and body bars. These are ideal for acne that occurs on areas of the body other than the face like the back, chest, shoulders or legs. Follow manufacturer instructions to determine how often an acne soap or body bar should be used. Acne face wash. Simple and easy to use, acne face washes are sold over the counter all the time. Most let your teenager use them once per day in the morning or evening to treat acne in a safe, often effective manner. Oral acne treatments. For teenagers with moderate to very severe acne, oral medication that’s take once or twice per day may be the most effective. This medication can be obtained through your doctor or dermatologist, but it should generally only be used if acne does not respond to topical treatments first. Teenage girls tend to have a higher tolerance for beauty products, as many are starting to use makeup and cosmetics more regularly. Acne face wash products. Often effective and easy to use on a regular basis, acne face wash products that are sold over the counter are an ideal first step toward getting acne under control. Topical creams and gels that can be applied to the skin after a face wash. These require more dedication and time spent in the bathroom, but they are often effective for teenage girls who take the time to use them properly. Oral acne medication. 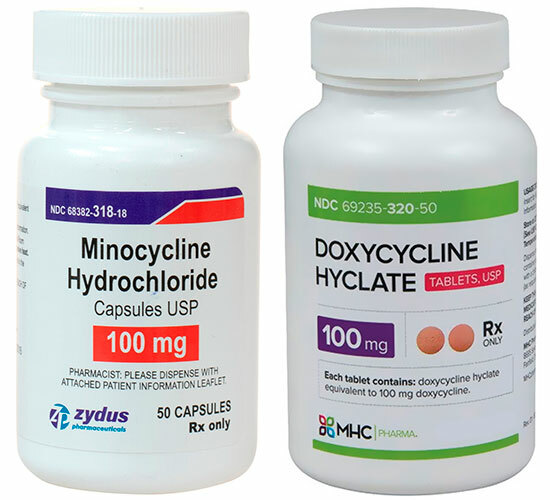 Bad acne and serious problems like cystic acne often respond best to an oral antibiotic treatment prescribed by a dermatologist. No teenager wants to have acne, but banishing it can be a tough task even if you’re willing to put in the work. Benzoyl peroxide treatments. Common in over the counter topical treatments, benzoyl peroxide helps clear clogged pores and fight bacteria. 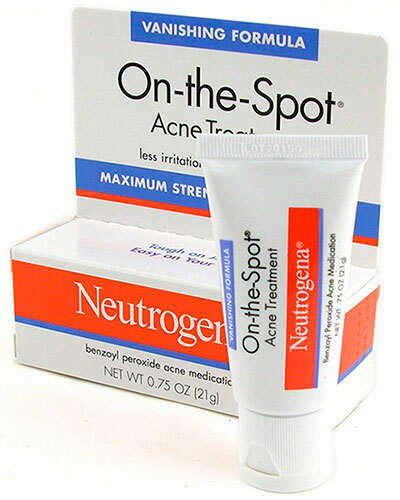 It is found in dozens of over the counter products like Neutrogena On-the-Spot and is an ideal first choice for acne. Benzoyl peroxide is often considered one of the best acne spot treatment options on the market. Salicylic acid. Like benzoyl peroxide, salicylic acid treatments are a first-call product for acne. 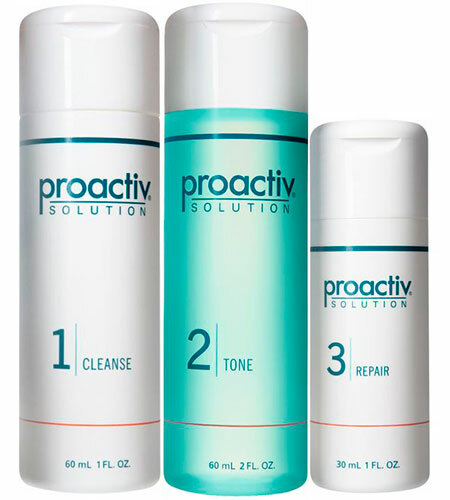 Products like Proactiv utilize salicylic acid as a main ingredient for help clear up acne. Commonly found in soaps designed for acne, sulfur is a safe, mild product that can help clear bacteria and clogged pores. It’s often recommended for mild to moderate acne. It can also help reduce redness for acne sufferers and help with acne scars. Retin-A topical solutions. Retin-A treatments are often prescribed by dermatologists, but over-the-counter options that include retionoids are available in 2018. Acne often gets worse before it gets better with this type of topical treatment, and results often take two to three months to become noticeable. Oral antibiotics. Prescribed by a dermatologist, oral antibiotics are ideal for systemic acne that is occurring all over the body. They can also help clear up bacterial acne quickly and effectively. Accutane treatment. 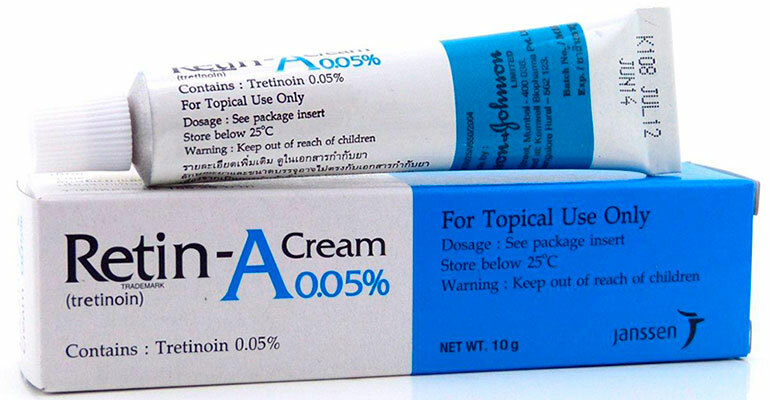 A controversial medication, Accutane is often effective for acne, but it must be prescribed by a doctor and patients must be monitored closely. Accutane is best recommended for severe and cystic acne that is uncomfortable or painful. Tea tree oil extract. This is an all-natural topical treatment made by many different brands, though you can make your own with diluted pharmaceutical grade tea tree oil and a carrier oil like jojoba. Tea tree oil is a natural antiseptic and antibiotic, making it ideal for bacterial acne. Further details can be found here. For those interested in all-natural solutions that can help with moderate acne, a mixture that is 20 parts water to 1 part apple cider vinegar can be applied topically to reduce inflammation and help clear bacteria. 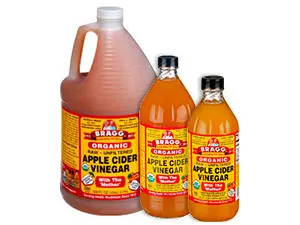 Apple cider vinegar is also one of the best products for acne scars that you can buy at the grocery. To learn more about the apple cider vinegar for acne, see this article. Always test a small amount of any acne medication on your skin before putting it on a larger area. Some medications can cause irritation and may not be right for you even though they work for others. Proper skin care is often about finding the right treatment for your unique skin. These are just a few of the most common types of acne products out there. For many people though, they’re more than enough to make an impact with acne. Many over the counter and prescription acne products are effective. Finding the one that’s right for you can take time, but other user reviews can help. Benzoyl peroxide. Users find benzoyl peroxide to often be effective, but it can take time. 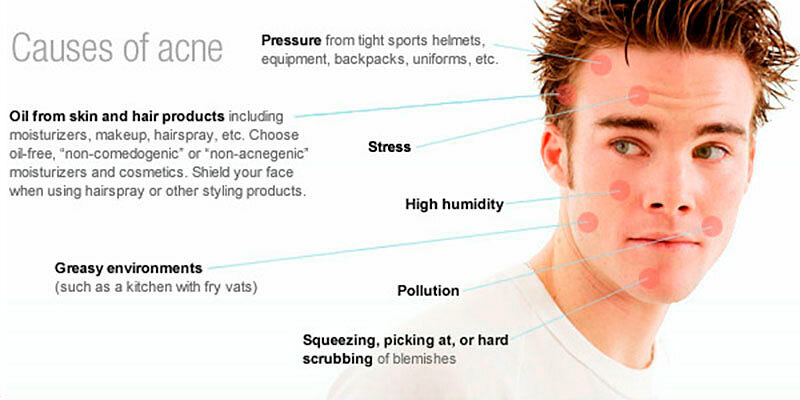 Some redness occurs before acne is visibly reduced in most cases. Skin sensitivity is common. Salicylic acid. Like benzoyl peroxide, redness is commonly reported, though other users say it helps clear up redness right away. Skin is often sensitive to sun, so sunburns are commonly reported. Sulfur. 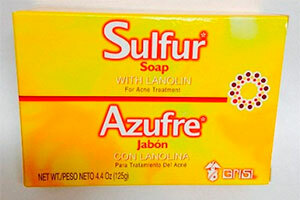 Reports of users enjoying sulfur soaps and products are harder to find since it’s a less popular treatment. However, reports on the internet claim minor relief of acne redness and some clearing of pimples after just a few days of treatment. Retin-A. Retin-A users often dislike the early stages of treatment since extreme redness is common. However, most users report a drastic improvement after a few months of treatment. Oral antibiotics. Less likely to cause redness, most users who get these products from a dermatologist report a positive improvement after 30 to 60 days. Accutane. Highly-effective, many users report great results with Accutane. However, serious reports of liver damage and health problems are too common with Accutane, making it a last resort for acne sufferers in most cases. Tea tree oil. Some users report that tea tree oil is effective for clearing redness and reducing the size of pimples. 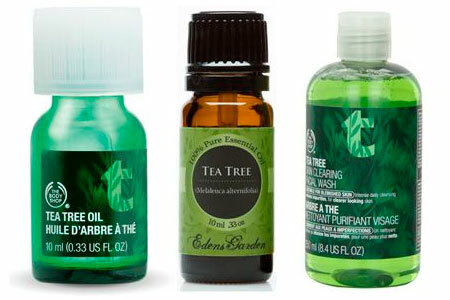 Other users report skin irritation, especially when using tea tree oil products more than once per day. Apple cider vinegar. Many users report reduced redness, however some say the treatment does nothing at all. A lot of teenagers want to know how to prevent acne before it becomes a major problem. While there are some things you can do to reduce the severity of acne breakouts, and even combat the problem for good, you can’t always control it completely. For many teenagers, acne is just a part of growing into an adult. Wash your skin regularly with a gentle cleanser and lukewarm water. Always shower after exercise or sweating excessively. Avoid touching your face with dirty hands. Don’t pick or squeeze pimples. Avoid shaving areas where breakouts occur. Follow directions when using topical or oral treatments for acne. A regular regime must be followed for proper results. 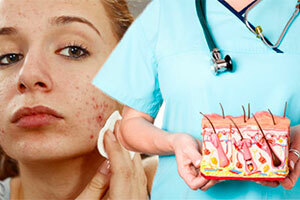 Teenage acne can feel like a curse, but for many sufferers, help is easy to find. Not all products will fix your acne overnight, but reduce redness and less frequent breakouts are a major win for teenagers suffering from a common problem. Try a few products to see what works for you.